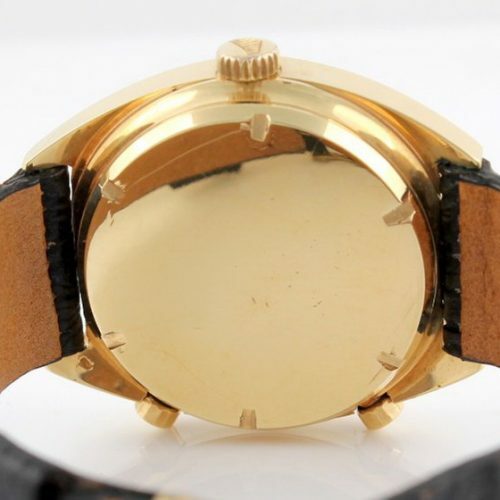 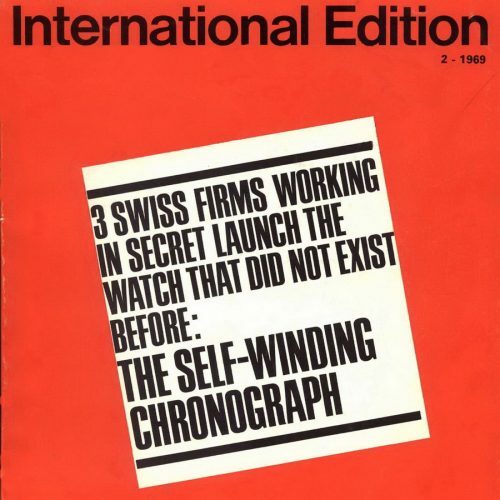 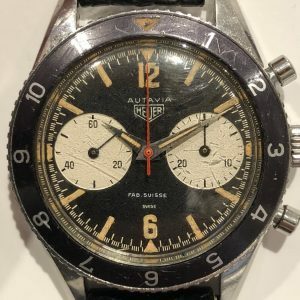 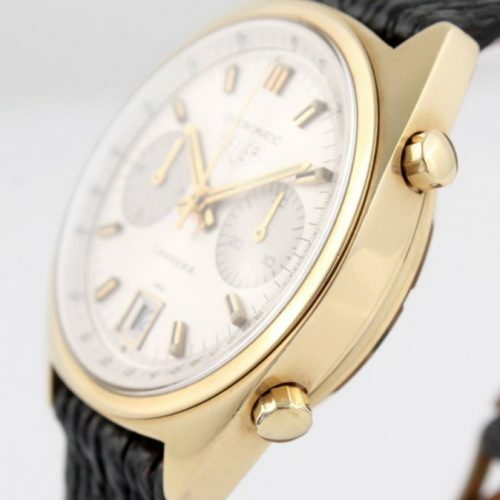 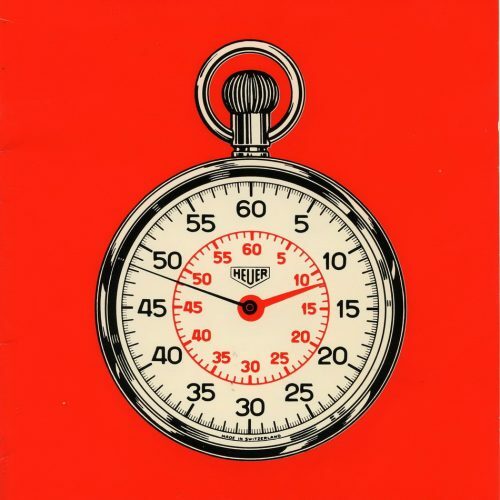 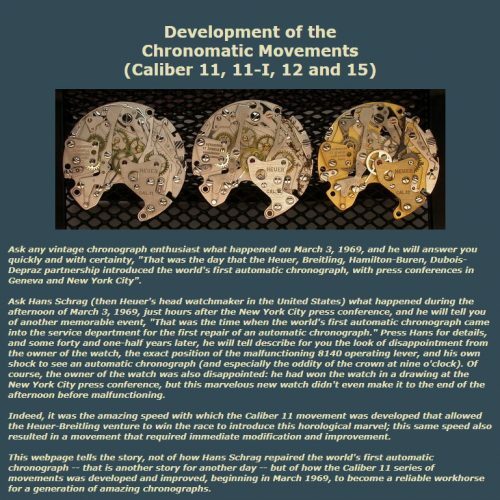 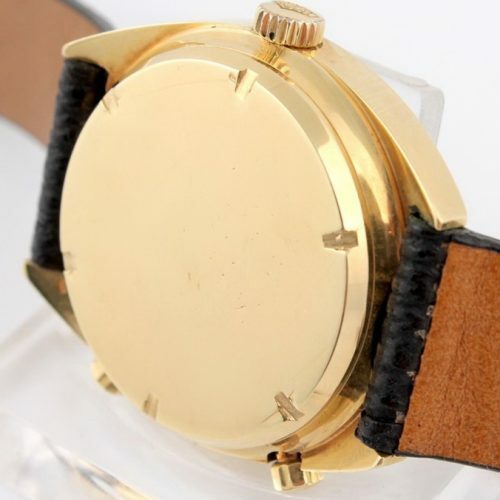 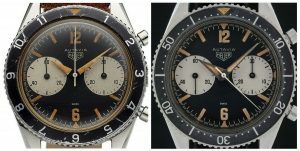 Until recently, collectors of vintage Heuer chronographs believed that there were two basic styles of hands used on the earliest Autavias, the models with “Big Subs” dials in first execution screw-back cases. 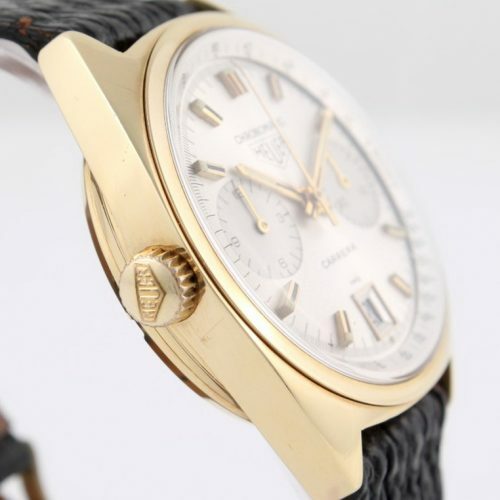 We referred to the first style of hands as “All Lume” and the second style of hands as “Fat Lume”. 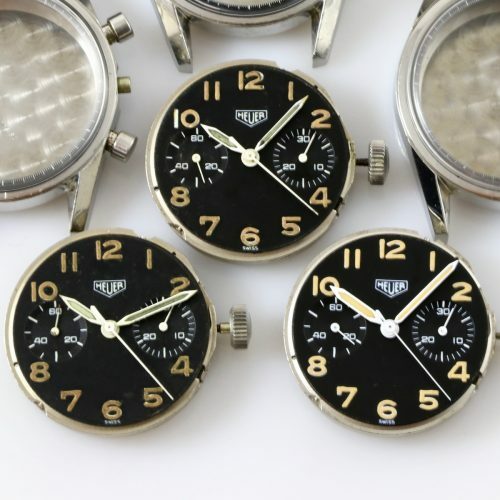 Both styles of hands are dauphine shaped, with the All Lume hands showing nothing other than the lume material, and the Fat Lume hands, having metal edges, with the lume on the interior. 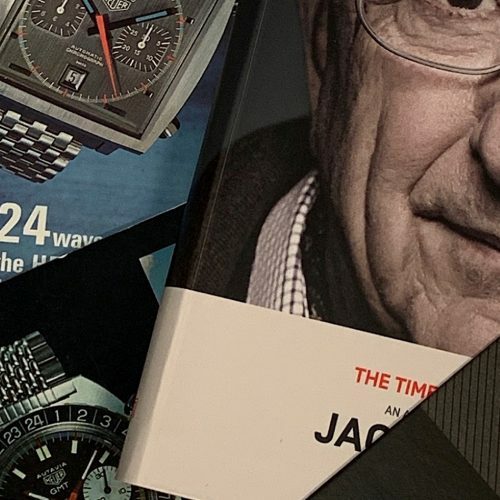 Over the past couple of years, it has become clear that there was another style of hands used in the period after the All Lume hands and before the Fat Lume Hands. 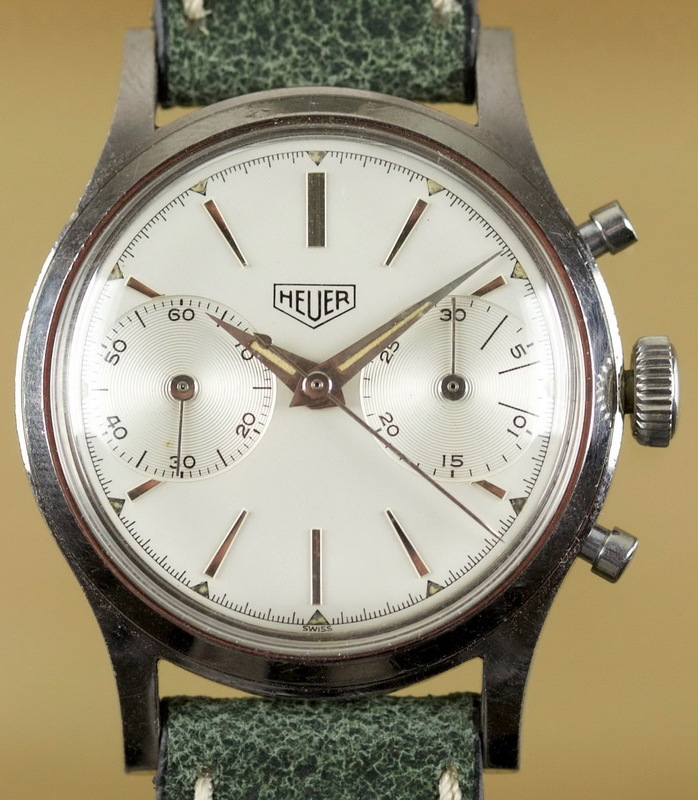 We refer to this newly-documented style of hands as having “Thin Lume”. 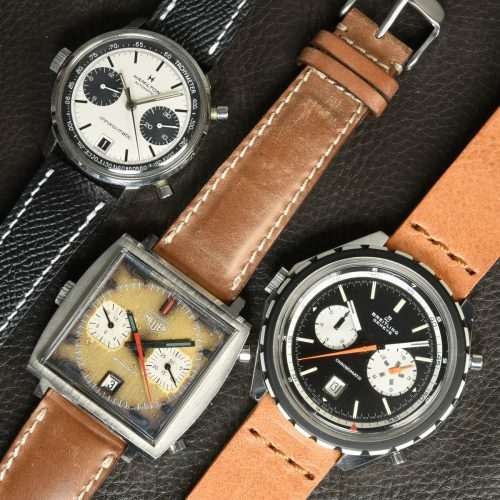 Like the Fat Lume hands, the Thin Lume hands are dauphine shaped, with metal edges, except that rather than the luminous material filling the interior of the hands, the luminous material in each hand is a thin rectangular area. 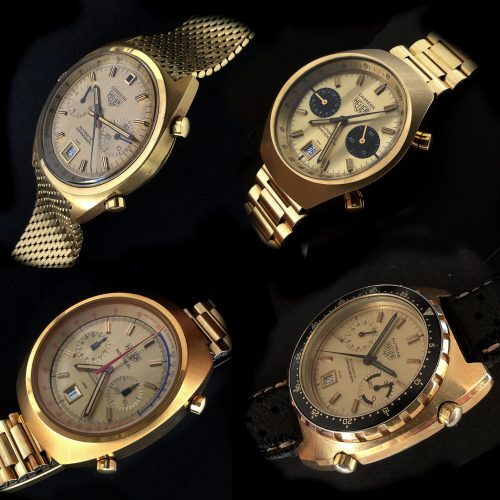 Over the last couple of years, we have seen approximately 10 Reference 3646 Autavias with these Thin Lume hands, with serial number spanning the range between 48810 to 48910. 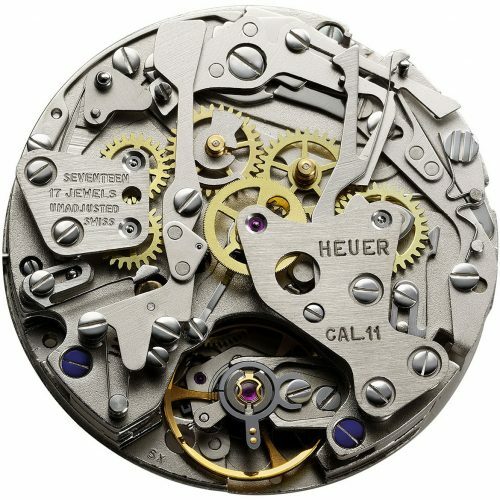 Accordingly, the sequence of hands on these models is as shown below. 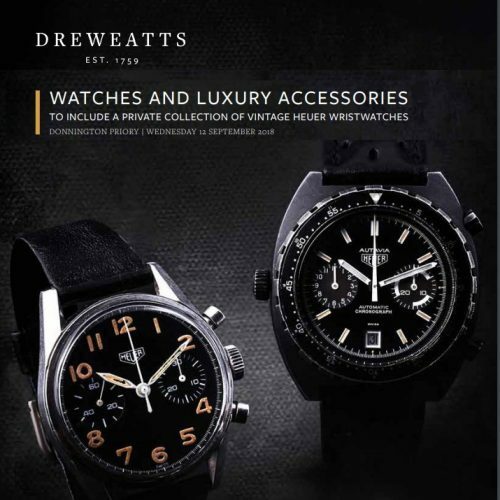 We note that, throughout their lives, the Reference 2446 Autavia (which is powered by the Valjoux 72 movement) and the Reference 3646 Autavia (which is powered by the Valjoux 92 movement) used different hands, and the hands are not interchangeable between the two models. 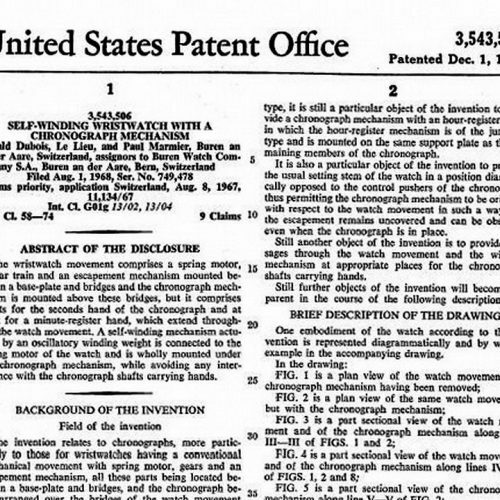 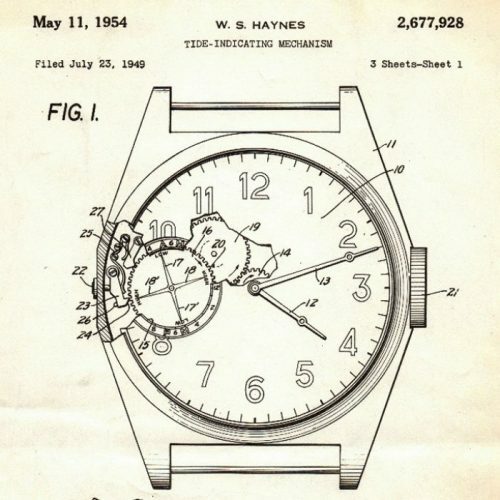 The “Thin Lume” hands were never used on the Reference 2446 Autavias. 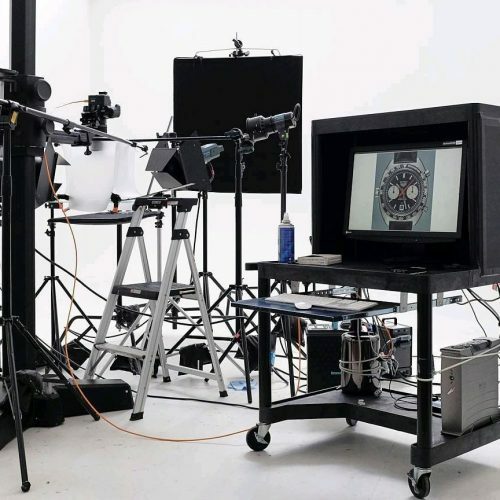 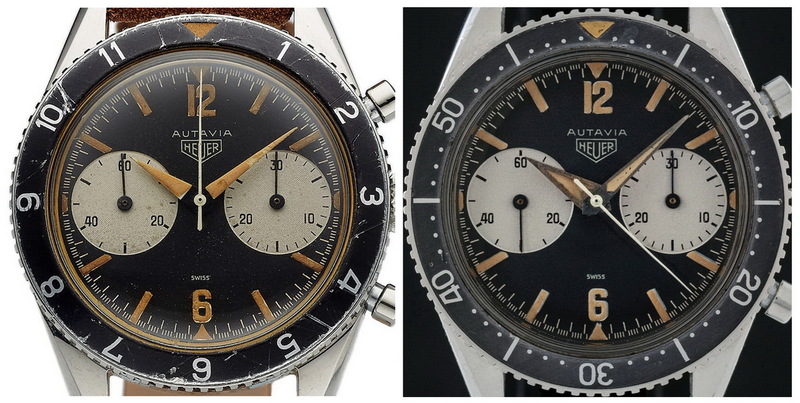 The simplest explanation for the use of “Thin Lume” hands on a batch of Reference 3646 Autavias is that Heuer was in the process of switching from the All Lume hands to the Fat Lume hands, and needed a stop-gap solution while the Fat Lume hands were being produced. 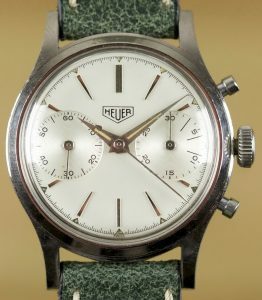 In 1961, Heuer had introduced the Reference 3641 chronographs, and these chronographs used the Valjoux 92 movement. 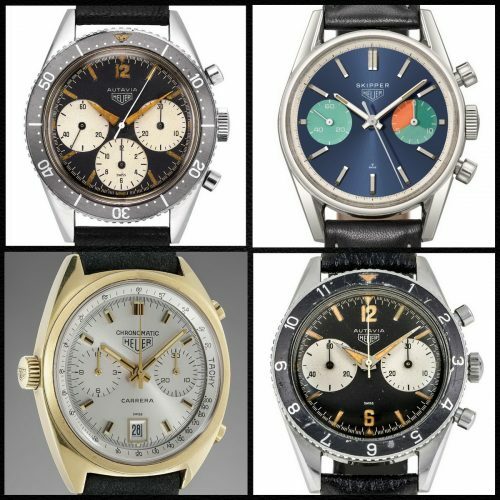 The hands on the first execution Reference 3641 chronographs appear to be similar or identical to the Thin Lume hands. 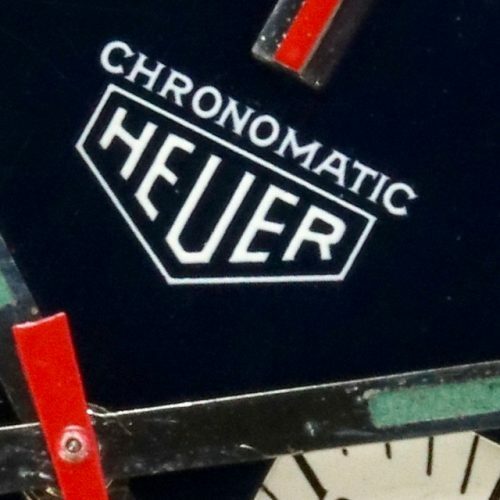 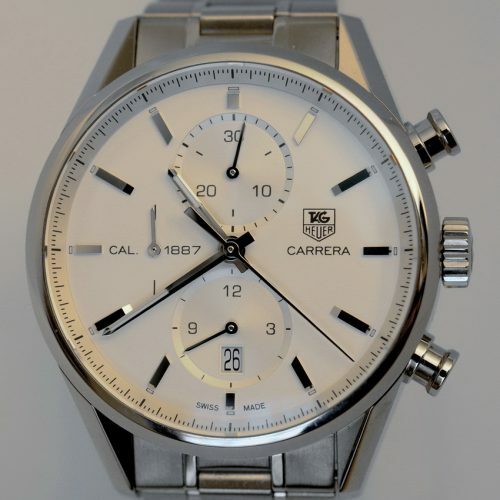 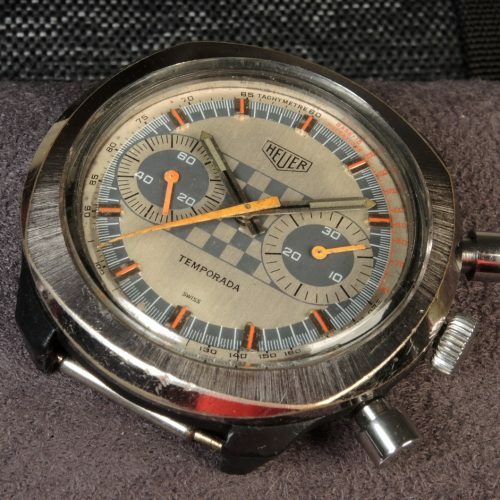 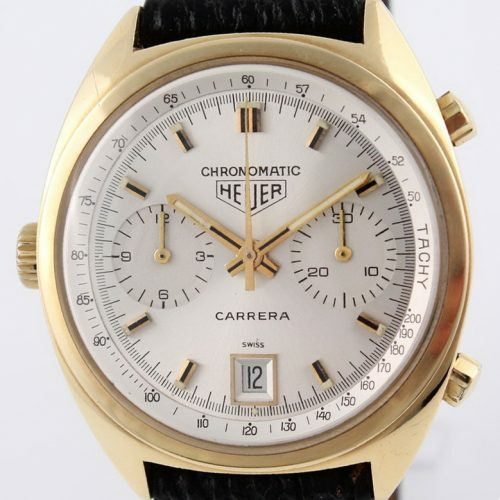 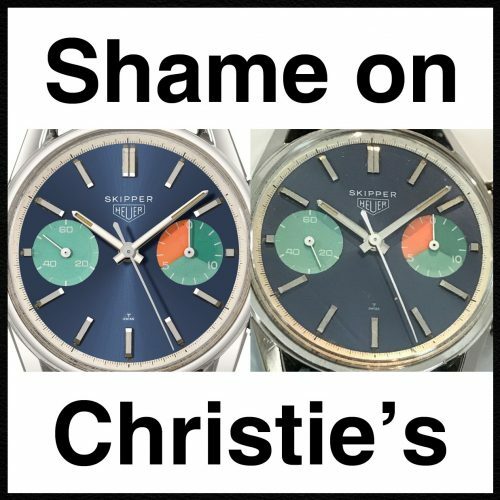 Perhaps Heuer had a supply of these hands and decided to use them on the Reference 3646 Autavias, while the supply of Fat Lume hands was being produced. 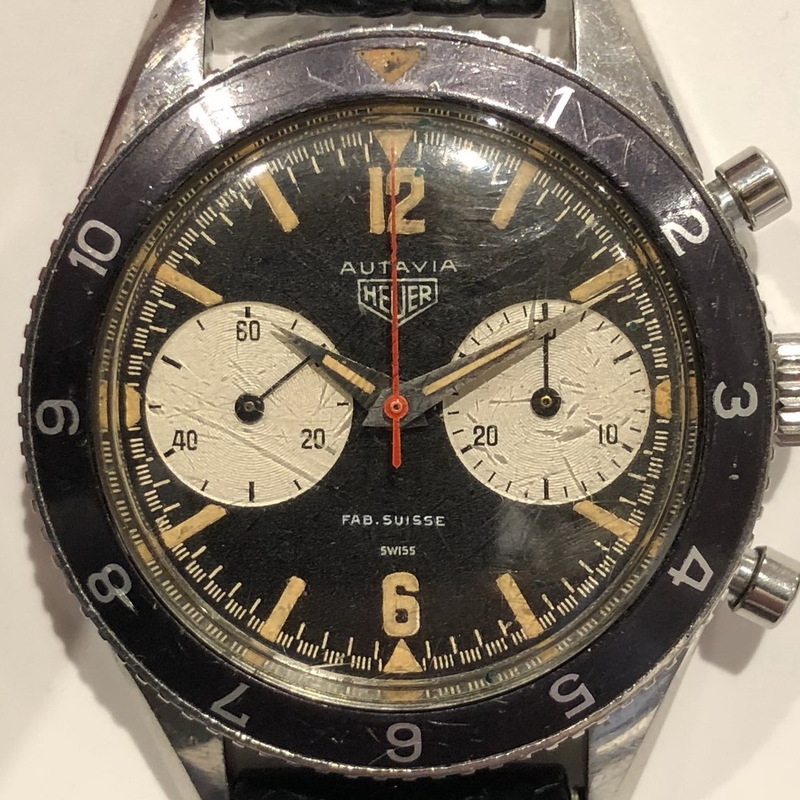 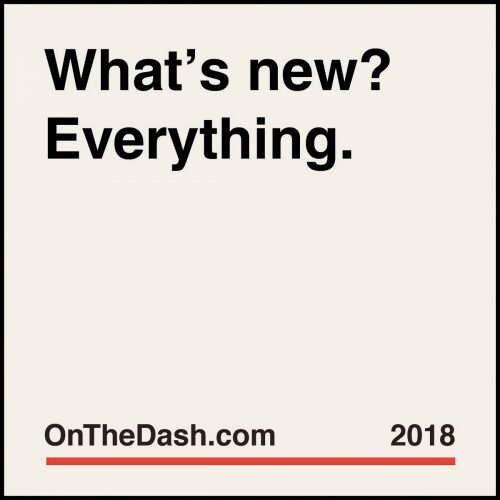 To see additional samples of the Reference 3646 Autavia, with the Big Subs and the Thin Lume hands, visit our OnTheDash Gallery for these models.